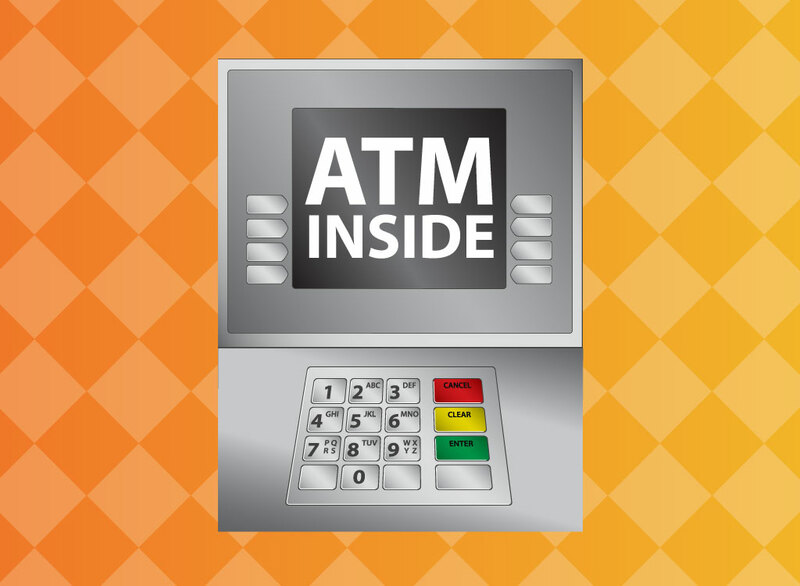 ATM vector illustration of a modern cash machine on an orange checkerboard background image. Perfect sticker graphics for your store front, shop designs or use it in your cartoon illustrations or brochure designs. Free banking clip art and decorative money designs for your freebies financial transactions design themes and sales stock images library. Tags: Banking, Financial, Money, Sales, Shop, Transaction, Transfer, Withdrawal.